Angry youths in Ede, Osun State have attacked Mrs Idiat Babalola, the Senior Special Adviser to Gov. Rauf Aregbesola on Diaspora. Babalola who came for the burial of Sen. Isiaka Adeleke, who died on Sunday, was mobbed by the youths who prevented state government officials from attending the burial, alleging that the senator was poisoned. It took the intervention of policemen with an order from the State Commissioner of Police, Mr Fimihan Adeoye who was present at the late senator’s residence, to ferry her out. 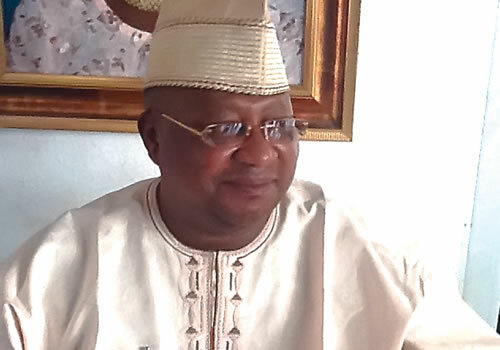 The atmosphere at the late Adeleke’s house was tensed as sympathisers and family members were weeping profusely in spite the heavy presence of security personnel. A News Agency of Nigeria (NAN) correspondent, who was at the late senator’s residence in Ede on Monday, reports that the grave where he would be buried had been prepared. The former civilian governor, NAN learnt, would be buried near his living room within the premises, as family members await the result of the autopsy conducted on the late senator. Gov. Rotimi Akeredolu of Ondo State and his Ogun State counterpart, Ibikunle Amosun, had already arrived for the burial. The Islamic clerics, who would perform the burial rites, had also arrived as at the time of filing this report.